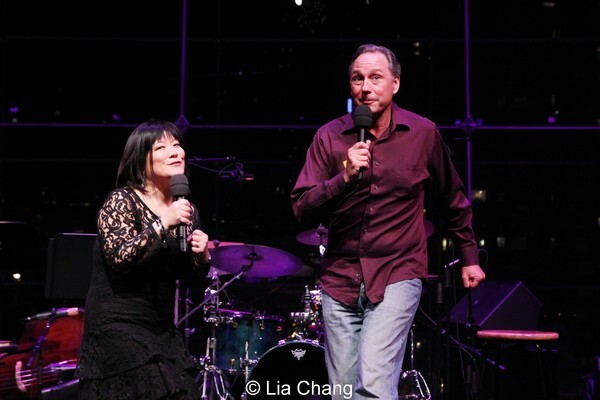 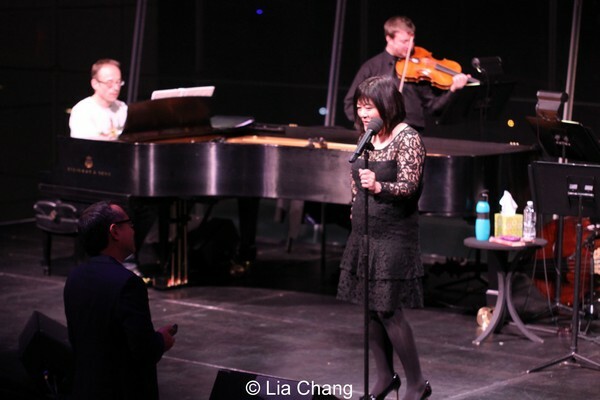 Last Saturday, Broadway vet Ann Harada was simply spectacular in the Allen Room at Frederick P. Rose Hall in New York, where she performed as part of Lincoln Center’s American Songbook Concert Series. 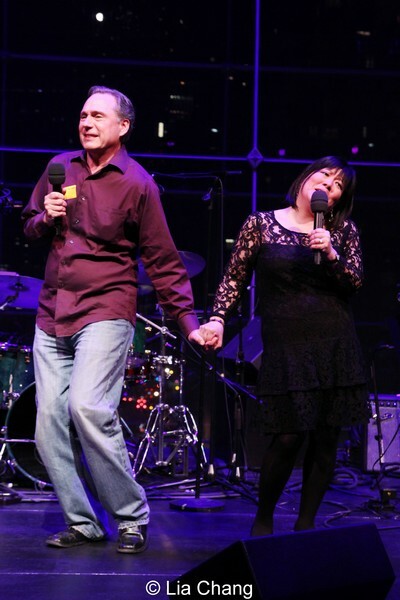 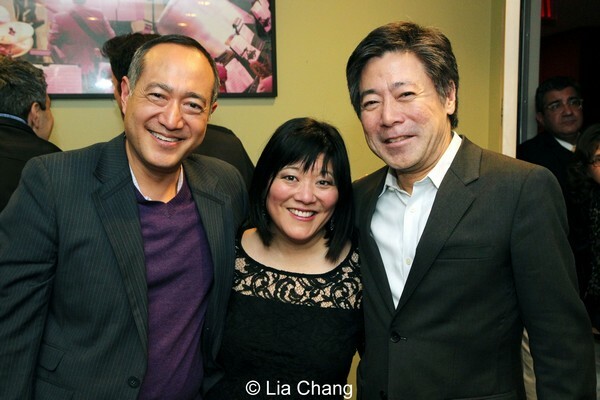 Helmed by frequent collaborator Alan Muraoka, with musical direction by Gary Adler, Harada was joined by long time pal Kevin Pariseau, with whom she sang a series of Judy Garland duets. 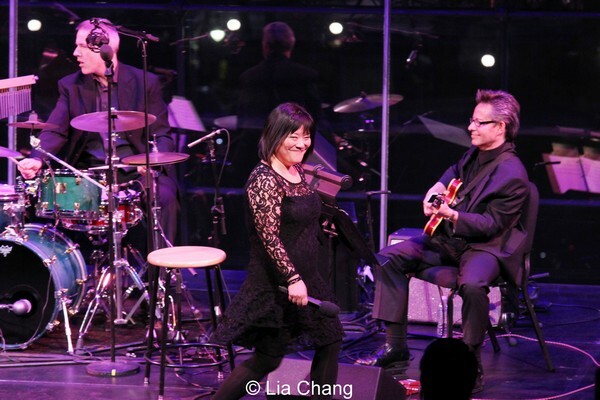 Her musicians included Gary Adler (Keys), Brian Koonin (Guitar), Scott Neumann (Drums), Mary Ann McSweeney (Bass) and JJ Johnson (Viola). 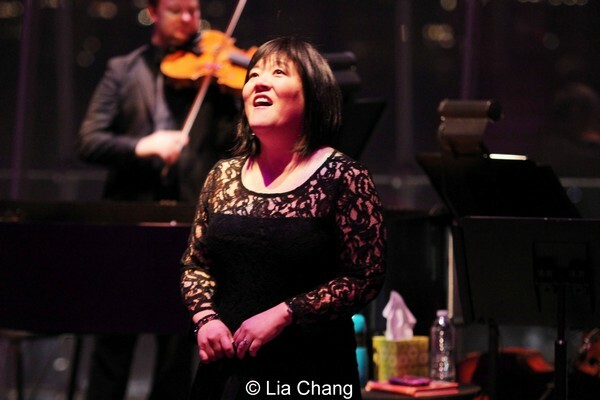 Harada is currently giving “a hoot of a performance” (NY 1 News) in Rodgers and Hammerstein’s Cinderella as the evil stepsister Charlotte, but fans may remember her better as Christmas Eve, the heavily accented Japanese therapist in the hit show, Avenue Q, which she performed on Broadway and in London. 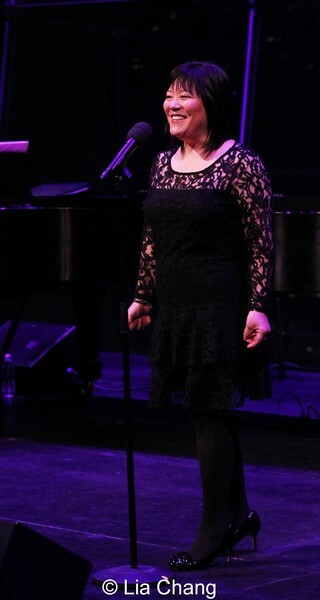 Other Broadway credits include 9 TO 5, Madame Thenardier in LES MISERABLES (revival), SEUSSICAL and M. BUTTERFLY. 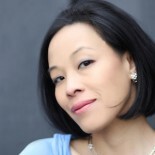 She has appeared in the films ADMISSION, HOPE SPRINGS, FEEL, THE ART OF GETTING BY and HAPPINESS; and recent television credits include “30 ROCK,” “THE BIG C,” “LIPSTICK JUNGLE,” “RESCUE ME,” “THE ELECTRIC COMPANY,” and a recurring role as Linda the stage manager on “SMASH”. 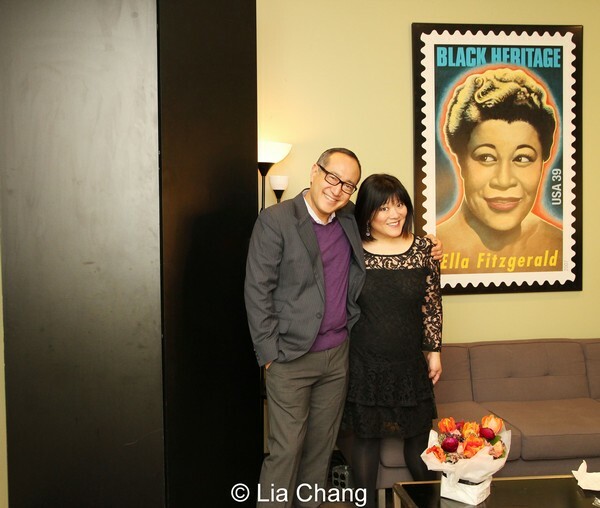 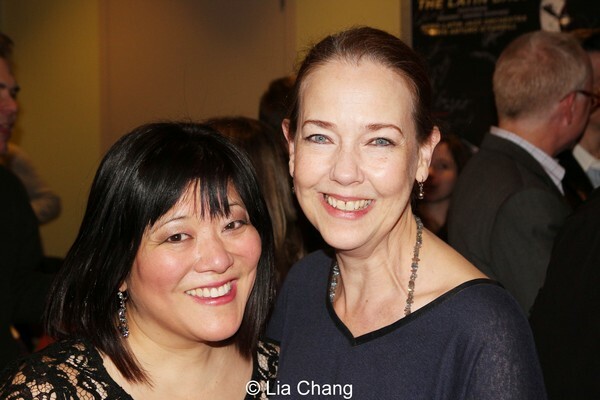 Harriet Harris, with whom Harada appeared in Cinderella on Broadway, Christine Toy Johnson and James Saito were among the many guests who packed the Green Room after the show to wish her well. 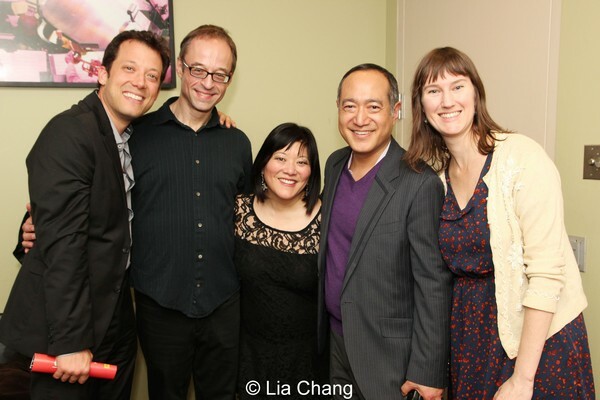 There was even a mini Avenue Q/”Sesame Street” reunion with John Tartaglia and Phoebe Kreutz in the house. 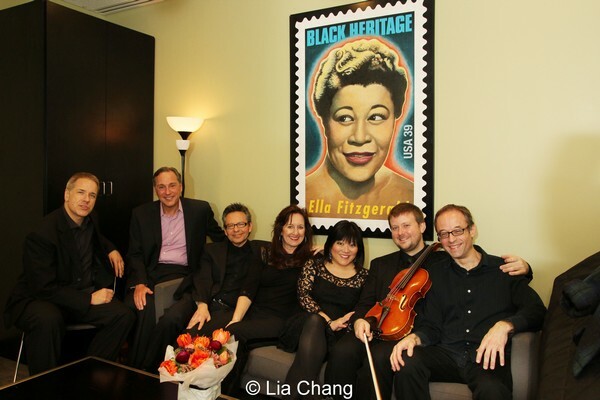 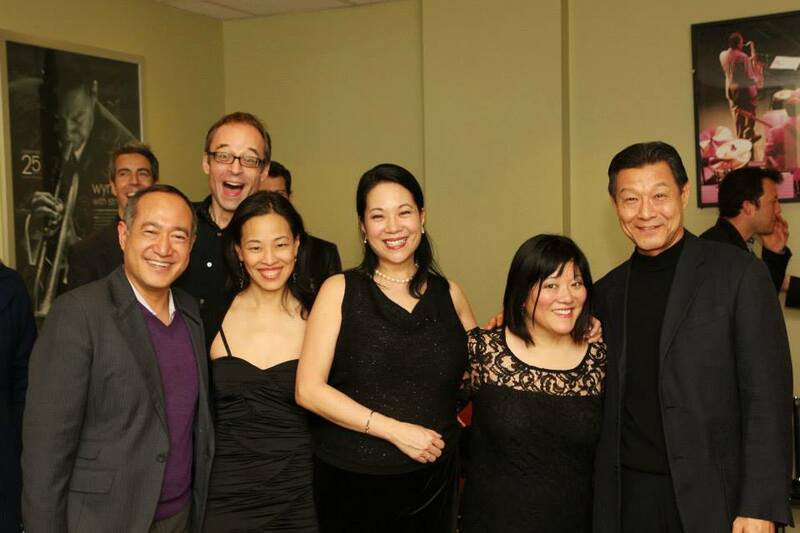 Alan Muraoka, Gary Adler, Lia Chang, Christine Toy Johnson, Ann Harada and James Saito. 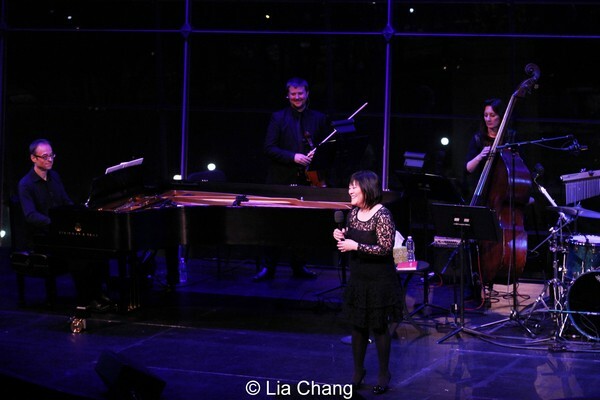 This entry was posted on February 26, 2014 by Lia Chang in Asian American Artists, Entertainment, Jazz, Music, New York, Theater and tagged #SMASH, 9 to 5, Alan Muraoka, American Songbook in The Allen Room, Ann Harada, Avenue Q, Backstage Pass with Lia Chang, Christine Toy, Christmas Eve, Cinderella, Dolly Parton musical 9 to 5, Harriet Harris, James Saito, John Tartaglia, Johnson, Lia Chang, Lincoln Center, Rodgers and Hammerstein, Rodgers and Hammerstein's Cinderella, Sesame Street, The Allen Room.